At this stage, we need, perhaps, to insist that not all conceptualisations of historical phases lead to grave reductions. Without them, no historical discourse would be possible. The logic of phases, or eras, is a useful tool for the historian, and it is undeniably a necessary evil for the construction of a popular historical awareness. The problem arises when the very names of the categories are not just descriptive, such as labels based on geography or dynasty names, but already invested within an axiological lexicon. This is the case, the problematic case, with the dual category of the pre-modern/modern. Interestingly, a political and historiographical event of ancient India already revealed a similar tension. In the late 1st century ad, the Fourth Buddhist Council was held to regulate the increasing number of new Buddhist creeds (18 schools), as well as the various languages of teaching. Many of these creeds had taken far distances from the original doctrines, practices and narratives of the Buddha, allegedly kept faithfully only by the conservative Theravada school. In a political, but also cultural rhetoric analogous to that of our modernity, the new dominant schools claimed that the Theravada camp had grown too doctrinal and not flexible enough to adapt to the novel settings of their contemporary society. Succeeding to convince their learned audience, the new schools set the foundations of the most important schism in the history of Buddhism : the birth of Mahayana. But, just like in the pre-modern/modern case, the supposedly ‘neutral’ label chosen to designate each side of the debate was decided… by one side alone. The liberal schools became the Mahayana Buddhists, or Buddhists of the ‘grand vehicle’, while the others were relegated to Hinayana Buddhism, or Buddhism of the ‘small vehicle’. One of these schools, the Theravada, or ‘way of the ancients’ soon became representatives of, and synonymous to, Hinayana Buddhism at large. The marriage of inferiority and ancestry was set. Hinayanists and Mahayanists could be in a state of ‘being-with’ each other, rather than being ‘one or the other’. The evolution of Buddhist schools in India could, then, perhaps, serve as an example among many, of the flexibility of historiographical and doctrinal labels throughout the history of South Asia. As we can see, India had, much before Enlightenment and its pre-modern/modern contention, a history of partisan influences onto very important and popular matters of historiography. Can any lesson be drawn from this ? What came out of this one-sided partition of Buddhist history ? After the Fourth council, the newly renamed Hinayanists had lost their earlier authority in the Samgha, but they were allowed to continue developing their traditions alongside the newly recognised Mahayanists. The history of Buddhist commentaries reveals how both traditions remained philosophically productive until the extinction of Buddhism in India in the 12th century. Mahayana Buddhism had become a major power, truly, but Vasubandhu, for instance, started his career on the Hinayana side, thus proving the intellectual activeness of the ‘way of the Elders’, as well as the porosity of the border. Moreover, by the time of the Fourth council, the only foreign country reached by Hinayana Buddhism was Lanka ; the spread to Myanmar, Thailand, Laos and Cambodia would occur only later, proving that Hinayana Buddhism was still very much surviving, even in a predominantly Mahayana climate. Hinayana and Mahayana Buddhism have been, in other words, non-exclusive, and surviving hand-in-hand. In a very loose evocation, this cohabitation could remind the Heideggerean notion of the Mitsein or ‘being-with’, as the capacity of a being to not remain just isolated and self-bound, but also capable to establish a genuine connection, a living-with other beings. 1 Hinayanists and Mahayanists could be in a state of ‘being-with’ each other, rather than being ‘one or the other’. The evolution of Buddhist schools in India could, then, perhaps, serve as an example among many, of the flexibility of historiographical and doctrinal labels throughout the history of South Asia. This flexibility, I may suggest, could be traced back to a collective imagination, to mythological and cosmological narratives, which differ from those of the west, in particular with respects to the postulation of a primordial multiplicity. This very specific feature is one that never found any counterpart in the metaphysical foundations of Europe, whether we look at pre-Socratic philosophy, Plato and Aristotle, or even – and especially – their merging with Christian oneness through Neo-Platonism. Without giving credence to a modified ‘clash of civilisations’ à la Huntington, 2 it may be to this difference of metaphysical foundations that we owe the contrast of treatments of historical labels throughout history, in Europe, and in India. And in turn, it is this dual heritage that must be relied upon to answer to those conceptual, but also, cultural, social, ethical and political questions, which met a deadlock in the European Enlightenment and soon after. 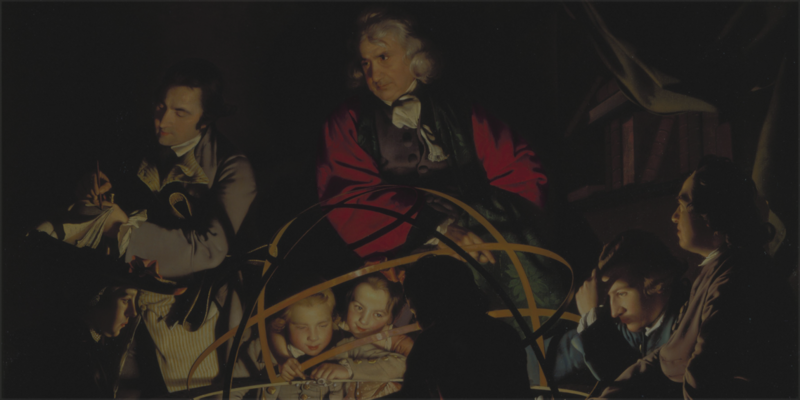 The Enlightenment has proven the opportunities, but also the inefficacy and risks of universalistic arguments, as well as of centralised power structures. It has indirectly motivated many, in the recent generations, to try setting the foundations of a truly multipolar world. But Europe lacks this cosmology, this deep past of plurality, to succeed in creatively conceptualising such a future. India does possess this heritage, and it is what must be used, today, to make sense of its present – a present liberated from the judgmental label of ‘modernity’. And beyond it : not just its present, and not just the Indian present. And not even just the present in general. Indeed, in turn, this very heritage shall prove primordial to contribute to the active emergence of multipolar structures at the global scale, politically but also philosophically. From lavish explorations to the alterity of the neighbour : identity and its differences, left, right, ahead… and behind. Martin Heidegger, Being and Time, translated by John Macquarrie and Edward Robinson (New York: Harper and Row, 1962), 150-153.